…preferably shoulder-high or bigger. Here’s the new 7-6 HYB4/3 fresh from the factory. 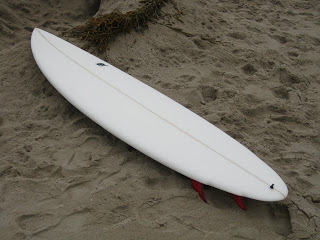 This is a great board for “mature” surfers (you know who you are…) who need a little more float than the 6-6 “Big Boy” thruster gathering dust in the garage, or for the longboarder wanting to sample a little more speed and responsiveness in his/her surfing. The HYB4/3 shapes feature a full outline with a 15-1/2″ wide tail. The full outline is combined with a tightly-tucked 60/40 rail and a single concave bottom with “V” in the last 12″. The double-wings help to pull in the tail in the last 12″ and work with the “V” to keep turning loose and smooth. The 4/3 or “5-fin” set-up allows the rider to choose either tri- or quad-fin performance. I like the TA Channel Islands Hexcore fins in front and TA LB Side Bites in the rear on my quad set-ups. The CI template is designed for riders over 180lbs, and offer incredible hold and drive. What I like about the 5-fin set-up is that it offers the rider a wide range of fin configurations, and with FCS plugs there is a huge inventory of fin templates available. Give me a call or drop me an email if you see an HYB4/3 in your future and want to talk about it. 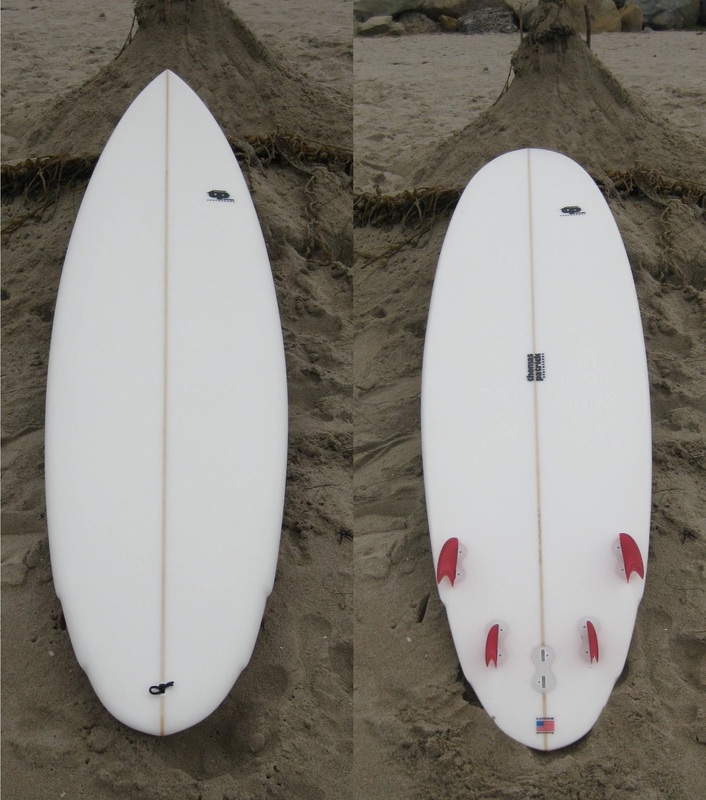 Pricing for the HYB4/3 starts at $465 with quad composite/molded fins included.